I am so excited to host the School Counselor Blog Back to School Giveaway, which is 10 days of daily giveaways starting September 1st and ending on September 10th! Today is day six of the School Counselor Blog Back to School Giveaway. Today's giveaway for the School Counselor Blog Back to School Giveaway is Wings by Christopher Myers. Wings by Christopher Myers is a book I have been meaning to write about for a loooooong time. I first read Wings about three years ago and was immediately drawn in by the illustrations. I could not wait to share Wings with my students! Wings tells the story of Ikarus Jackson, a new boy at school. He is ridiculed by the other kids (and adults!) because of his wings and his ability to fly. One student, however stands up for him and helps him see the beauty and ability his wings give him. Wings is a beautiful story and the artwork is just amazing! Wings is a great book for conversations about bullying, being a positive bystander, and celebrating the things that make you unique. I really cannot express how excited I was when I thought of this... I am not sure why it took me so long to write about it! I had students create their own wings by tracing their hands. I allowed students to decorate the wings with things that made them unique using magazine clippings, drawings, or words. 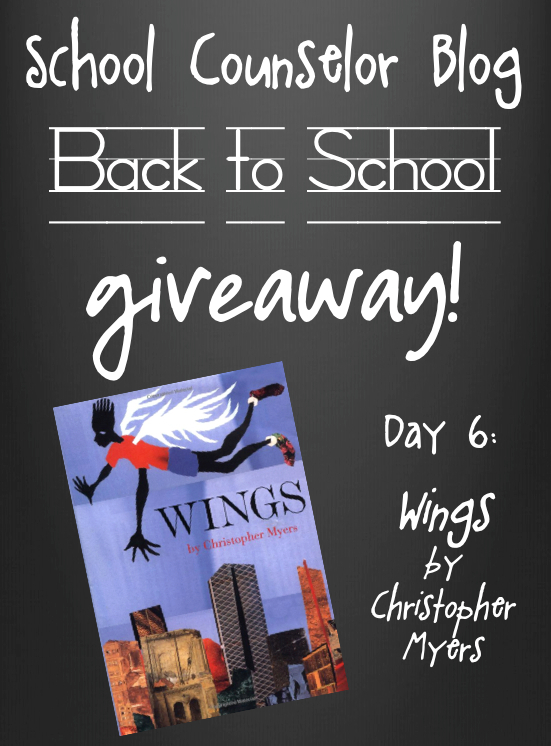 I am so excited to give away Wings in the School Counselor Blog Back to School Giveaway! How would you use Wings in your work with students? For this giveaway I am using Rafflecopter. 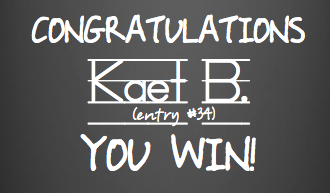 The giveaway opens September 6, 2012 and will close at 11:59pm EST September 6, 2012. 2012 Back to School Giveaway!